The subclass 457 program will be closed and replaced by TSS visa! Updates to the occupation lists for temporary and permanent skilled visas have effect from 17 January 2018. This update follows the review conducted by the Department of Jobs and Small Business in late 2017. A summary of the proposed changes can be found on the Department’s website. 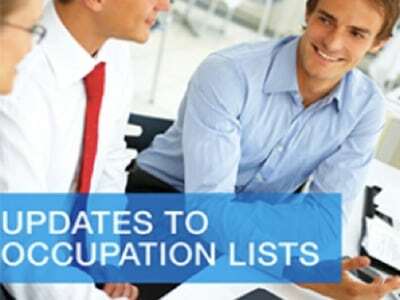 Please check summary of 17 January 2018 changes to the lists of eligible skilled occupations. And a new regional occupations list is currently under development. This additional list will come into effect with the introduction of the new Temporary Skills Shortage (TSS) visa in March 2018 and will help ensure regional employers are well supported. In March 2018, the subclass 457 program will be closed and replaced by the new, more targeted TSS visa. in March 2018, the subclass 457 program will be closed and replaced by the new, more targeted TSS visa.